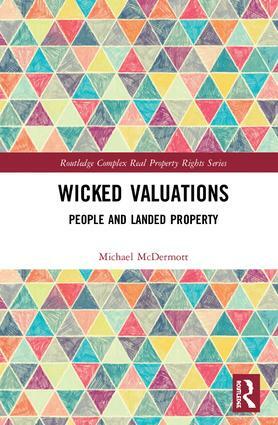 Michael McDermott, PhD, is a Land Policy and Valuation International Consultant based in Australia. Real Property Rights are central to the global economy and provide a legal framework for how society (be it developed or customary) relates to land and buildings. We need to better understand property rights to ensure sustainable societies, careful use of limited resources and sound ecological stewardship of our land and water. Contemporary property rights theory is dynamic and needs to engage thinkers who are prepared to think outside their disciplinary limitations. The Routledge Complex Real Property Rights Series strives to take a transdisciplinary approach to understanding property rights and specifically encourages heterodox thinking. Through rich international case studies, the goal of the series is to build models to connect theory to observed reality, informing potential policy outcomes. This series is both an ideal forum and reference for students and scholars of property rights and land issues.